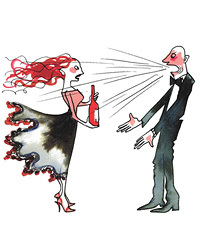 One can’t stand Alsace wines; another says Cabernet “bores me.” F&W’s Lettie Teague considers the dislikes and likes of top wine pros. As a child, I wasn’t allowed to use the word hate. I could dislike something or find it disagreeable, but I was never, ever permitted to say hate. Some decades later, I find myself employing the forbidden verb remarkably often, especially when it comes to wines like Pinotage. Indeed, I’ve expressed my dislike of that South African specialty (an ungainly cross between Pinot Noir and Cinsaut that tastes like burnt matchsticks) so often and so openly that several F&W readers have felt compelled to defend it. “Have you tasted that much Pinotage?” one reader queried skeptically, as if my mind might be changed by consuming a certain amount. “Stop hating on Pinotage,” another commanded, channeling my mom. My distaste for Pinotage made me wonder if there might be wine professionals with similar feelings about, say, Chilean Merlot or California Chardonnay. I was particularly interested in the feelings of sommeliers, who serve as a sort of vinous liaison between wine producers and restaurant clientele. What happened if a sommelier simply didn’t like a particular wine? Would they keep it off their lists altogether and pretend it didn’t exist? Or would they feature it as prominently as any other wine, keeping their opinions to themselves? I talked with some of America’s top sommeliers and found they had plenty to say. It turned out that there were wines that they definitely hated—and their dislikes could be downright shocking at times. I hadn’t considered uncertainty as good grounds for hatred, but maybe Rajat had a point. After all, most people like to know what to expect when opening a bottle, and the same is undoubtedly true for most sommeliers, who need to be able to characterize a wine accurately. And while some of the world’s wines may be more unpredictable than others (i.e., Burgundies), most show a pretty consistent profile. For example, the nonvintage cuvée of a Champagne house is made to taste the same, year in and year out; it’s the wine by which the identity of the brand is formed. Ken Fredrickson, a Master Sommelier who has worked for Charlie Trotter in both Chicago and Las Vegas (and is currently a wine consultant based in Las Vegas), was sitting at the same table with Paul Roberts and Rajat when I asked them to name their least-favorite wines. Fredrickson listened to their answers with obvious impatience, eager to offer his own view. “Amarone!” he declared when it was his turn. This powerful red wine of the Veneto region in Italy, made from partially dried grapes, is considered by some to be capable of greatness (it can be quite long-lived), though to Fredrickson it’s a most loathsome wine. “It’s stinky and tinny and high in alcohol,” he said. “There is simply no reason for Amarone at the table,” he further opined. What Fredrickson said was certainly true: A high- alcohol wine is a difficult match with food, especially a wine that’s too sweet—and Amarone can be both, which means a particularly limited number of options. For example, I don’t think I’ve ever read a pairing suggestion for an Amarone that didn’t include the words roast meats. I’ve known Robert for years, and he has never pretended to like anything that he doesn’t. On the other hand, he doesn’t hide his love for Krug Champagne and Burgundy. (He commutes to Beaune the way New Yorkers do to DC or Boston.) Indeed, Robert’s passion for Burgundy is so considerable that the Cru wine list probably features more top Burgundies than any other list in New York: about 2,000 selections, or 50 percent of the list overall. Robert began to warm to the subject. “What about Vernaccia?” he asked rhetorically, naming a simple white wine made from a grape of the same name in Tuscany. “That’s an entire Italian appellation that should be flushed down the toilet. Those wines just taste like paint thinner. Can I throw in another?” Robert asked excitedly. “Gewürztraminer. That’s a grape that has very few uses. And Zinfandel, too.” Robert paused. “Maybe I could name a country next?” he asked hopefully. While Robert and Jordan both claim to hate Zinfandel (and, in Robert’s case, plenty more besides), Andrew Myers, the sommelier of CityZen in Washington, DC, is in the awkward position of despising the wines that his wife loves the most. Accordingly, Belinda features only five Grüner Veltliners on her wine list, including a 2006 Rudi Pichler that she serves by the glass. It’s so popular, she noted with a touch of regret, “I can’t keep it in stock.” (All those other Grüner-loving sommeliers have apparently done a very good sales job.) On the other hand, Belinda allotted many pages on her list to Alsace wines, which I found interesting, as she had taken over wine director duties at San Francisco’s Fifth Floor after Rajat left to join the Mina Group. Was her taste so much at odds with her predecessor’s, or was the list Alsace-heavy because that’s where The Modern’s chef, Gabriel Kreuther, was born? There is no need to guess the thinking behind the wine selections Paul Grieco made for his lists at Hearth, Insieme and Terroir in New York City. Every page is its own polemic. On the Zierfandler page, Grieco writes, “Zierfandler could be the coolest grape you have never tried,” and ends with “So next time someone asks you about Zierfandler, don’t do the Republican thing and blame others for your own ignorance.” Almost invariably, the grapes Grieco champions tend to be multivoweled: Blaufränkisch, Asprinio and Zierfandler. Did that mean Paul hated wines that were easy to pronounce? Looking back over the lists of the wine directors I’d spoken with, I realized their feelings weren’t necessarily detectable on the page. For example, it would be hard to guess Andrew Myers of CityZen disliked white Rhônes as much as he does, since there are 15 white Rhônes on his list, including varietals grown in other parts of the world, from Virginia to Argentina. And it would certainly be hard to know Chris Blanchard didn’t care for Cabernet; there are three full pages in his wine list devoted to the varietal. Other wine directors, like Rajat Parr, telegraphed their feelings in a kind of code. Rajat loves to write mini essays about his favorite wines, and he is particularly verbose when it comes to Burgundy. Even subregions like Chablis rate their own introductions. But of the wines of Alsace, which number nearly 30 at Michael Mina (a miniscule number for that restaurant’s list), Rajat says nothing at all. Whether or not I agree with their feelings (should Vernaccia really be flushed down the toilet? ), I trust the tastes of people who aren’t afraid to express passion—whether it’s in dislike or in praise. Indeed, I’m much more willing to believe what they say. And whether those feelings are grounded in fact or are pure opinion (the wines taste like burnt matchsticks or are too popular with sommeliers), they’re from professionals who taste and talk and care deeply about wine, and whose standards are incredibly high. This makes dining at their restaurants that much more interesting—unless you’re a fan of over-oaked Chardonnay.